As a global society where you may attract customers from all over the world, global cashless payment trends can help gauge what’s changing. On the global front, countries like the UK, Sweden, and Australia are leading the way with the movement to contactless payments. These countries are paving the way to create one of the most radical changes in how people pay by encouraging the abandonment of cash for contactless payments. In Australia, the New Payments Platform launched to make it easier for real-time payment for those transactions that might have otherwise been done with cash. In Sweden, only two percent of all transactions involve cash. Similarly, the UK has seen rapid growth in contactless card payments over all other forms of payment. This year is set to see even more consumers and merchants switch to contactless payments in the U.S. The U.S. Payments Forum noted that 99 percent of the top 200 retailers are now chip-enabled, and chip-on-chip transactions make up 60 percent of overall transactions, while more than 50 percent of transactions are being handled by contactless payment-enabled merchants. There are also guidelines for how ATMs can accept contactless transactions. According to Visa CEO Alfred Kelly, approximately 100 million contactless Visa cards could be issued by member banks in the U.S. this year. This includes member banks like JPMorgan Chase & Co., which announced that all new and replacement Visa credit cards would be contactless chip cards during the first half of 2019 and debit cards would follow later in the year. Similarly, Mastercard will combine contactless cards with "at-home" biometric options that can be added when applying for one of their cards. With the adoption of contactless payments, more companies are exploring how various types of technology can enhance this payment platform. For example, Beam Wallet, has a mobile payment solution that incorporates blockchain technology to increase speed and security for retail payment applications. Other companies around the world are looking at strategic technology integrations that combine mPOS apps with POS platforms to deliver a contactless solution for consumers however they want to shop. Not every contactless payment trend is positive, however. Whenever there is a greater opportunity for criminals, they will migrate to that channel. For contactless payments, that means a greater risk of fraud. Already, vulnerabilities have been discovered in many mobile card readers that must be addressed, while some merchants have also been exploiting customers. These critical security issues will need to be solved now before consumers change their minds about using contactless payment options. Many in the payments industry see contactless as a gateway technology that is helping consumers and businesses get comfortable with the idea that a physical card is no longer necessary for a transaction. This means that, as everyone becomes accustomed to this idea, they will be ready to migrate to mobile-only transactions and digital interactions. Banks, too, may benefit from helping consumers move to contactless. That’s because eventually with no reason to produce a physical card to issue to every customer, banks can see a significant decrease in costs associated with each customer. To reap the benefits of the contactless payment method, it’s important to let your customers know you accept those types of payments. 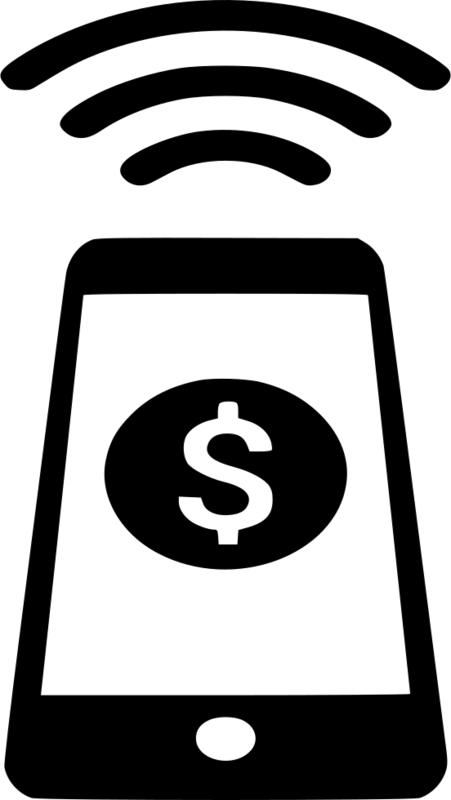 You can post the contactless payment symbol at your point of sale location and throughout the store or kiosk you operate. Also, work with your payments provider to stay updated on constantly evolving technology, vulnerabilities, and new upgrade options that facilitate the speed and convenience offered by contactless payments. By partnering with your payment provider, you can stay informed and develop a contactless payment strategy that works for your business and satisfies your customers.